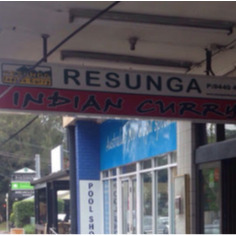 Resunga Indian Curry joined our Mission to help provide access to “Clean Water for All by 2030”. This Mission was initiated by the United Nations. A big thank you to Resunga Indian Curry’s team and customers for joining this extremely important mission on 12 April 2018. "Every time I come here I see one in particular employee working extremely hard. That person out performs any body else and always try's to make the purchasing process as quick and swift as possible whilst also delivering possibly the best naan on this side of Sydney. I've had better curries of course but at the price I can't stress enough that you definitely get your money's value out of this shop."